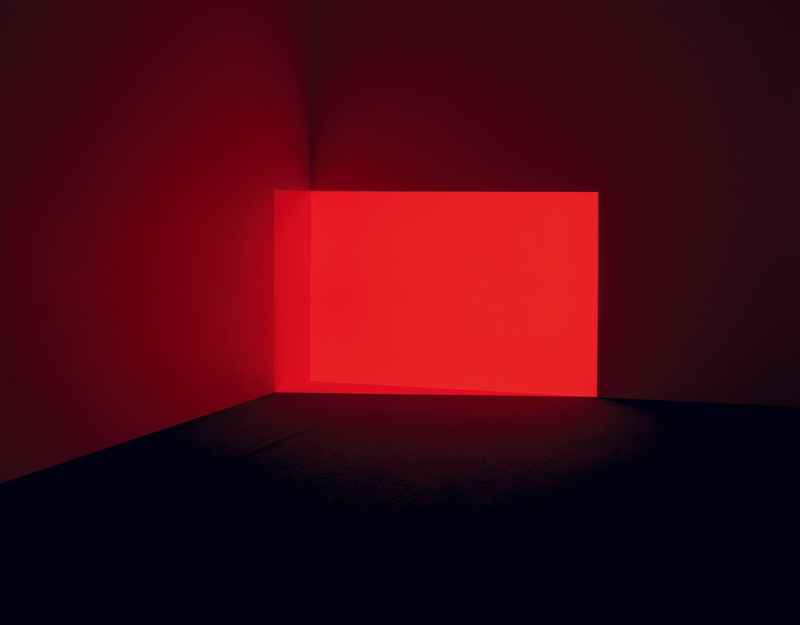 "Light is not so much something that reveals, as it is itself the revelation." 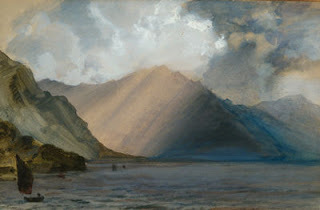 John Ruskin, Storm Clouds at Ennerdale (image source). 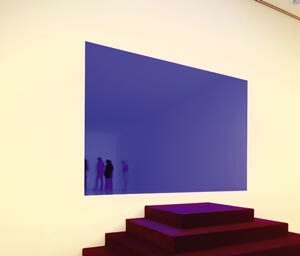 "Every hue throughout your work is altered by every touch you add in other places." "Science is spectral analysis. 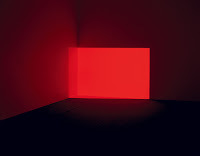 Art is light synthesis." "How do we see physically? No differently than we do in our consciousness -- by means of the productive power of imagination. Consciousness is the eye and ear, the sense for inner and outer meaning." Portrait of James Turrell by Cameron Wittig, 2006 (image source). "My work is about your seeing. There is a rich tradition in painting of work about light, but it is not light -- it is the record of seeing. My material is light, and it is responsive to your seeing." 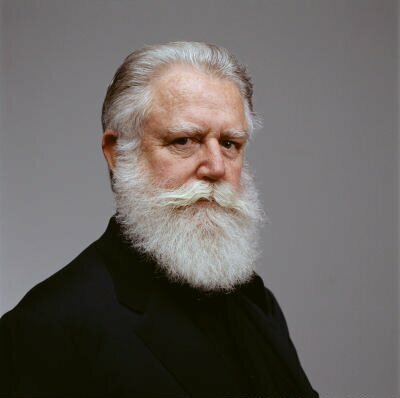 Join us on July 13 for a Member's Preview of James Turrell's show in the El Pomar Gallery. 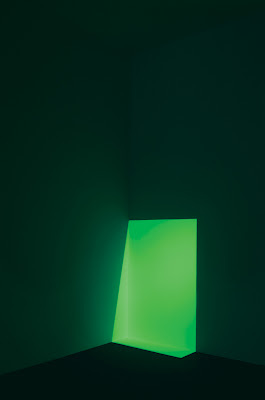 For a little teaser, visit Convolutions, the Permanent Collection show on view now in the first floor galleries meant to complement the themes of space and light in the James Turrell and Scott Johnson exhibitions. NASA Artist Monica Petty Aiello in "Convolutions"
Happy (belated) 98th Birthday Allan Houser!